Welcome to our Thesis Binding Service. If you know which type of binding you require but are unsure about the binding specification, don’t worry because we have most of the universities listed on the order form, you just select your university, Binding type/s and fill in the lettering details, we will do the rest. If you have any questions, just call or email us and we will do everything we can to help. 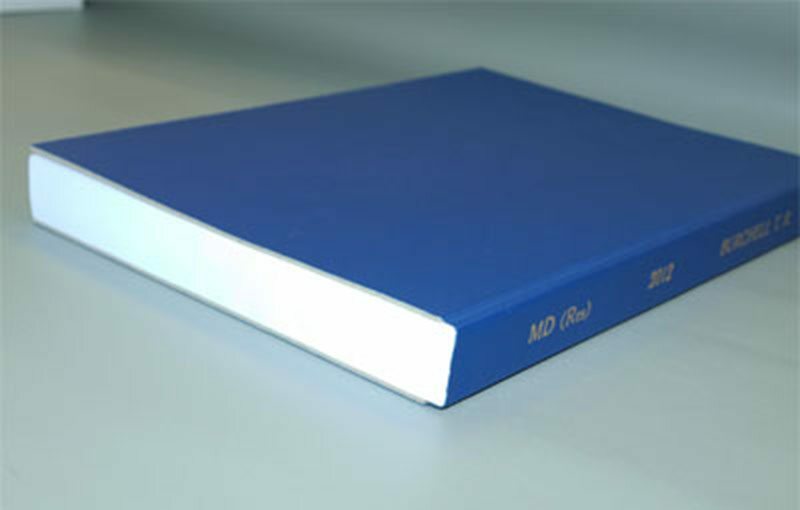 Hard binding is a good quality rigid binding usually required for the final submission of your thesis. Pages are securely bound in for durability and have a rigid cover. They are covered in a library buckram book cloth which comes in a range of colours to suite any university specification. Our hard bindings are also lettered on the spine and/or the front cover in gold or silver foil. For non thesis hard binding please see the bespoke binding section. 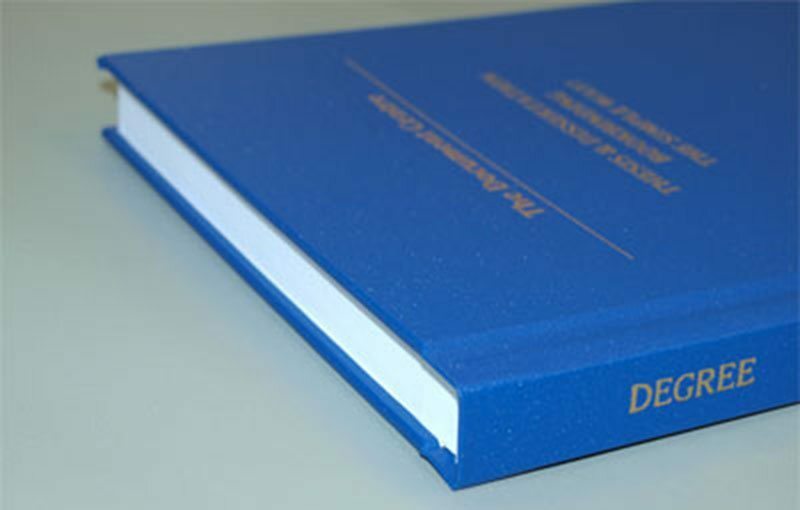 Soft binding is glue binding generally required for the first submission of your thesis. Soft bindings are cut flush all round and have enough rigidity to stand on a book shelf. Pages are secured with thermal glue for flexibility and strength and then covered in a library buckram book cloth which comes in a range of colours to suit any university requirement. Our soft binding includes gold or silver lettering to the spine. Wire binding comes with a clear plastic front cover and a card back cover as standard; this binding is also available on-demand while you wait. 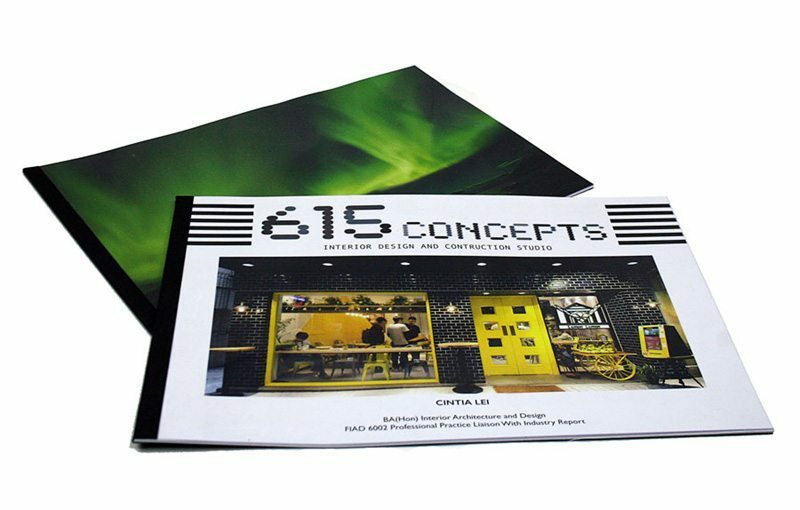 Wiro binding is one of the most popular commercial book binding methods used, and is known by a number of different names including , wire and spiral binding. Documents that are bound with wire binding will open completely flat on a desk, and allow for 360 degree rotation of bound pages. Velo binding comes with a clear plastic front cover and a card back cover as standard, this binding is also available on-demand while you wait. Velo binding is a very tidy and secure binding which ensures pages cannot be easily removed. It uses a 12 pin system that fits through punched holes and is clamped together and secured in place. We can bind up to 3 inches (approx 500 – 600 sheets) in a single book. Some universities have started to use this binding system, Kings College midwifery and nursing courses are among those that do. 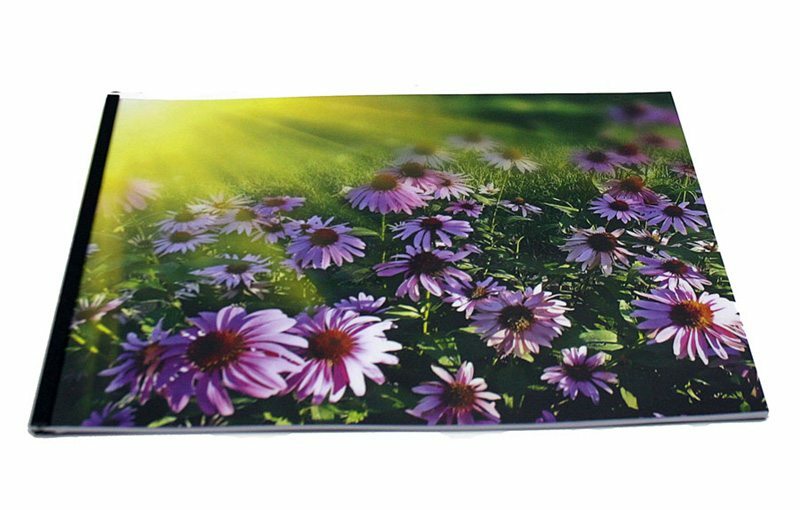 Thermal binding comes with a clear plastic front cover and a card back cover as standard, this binding is also available on-demand while you wait. 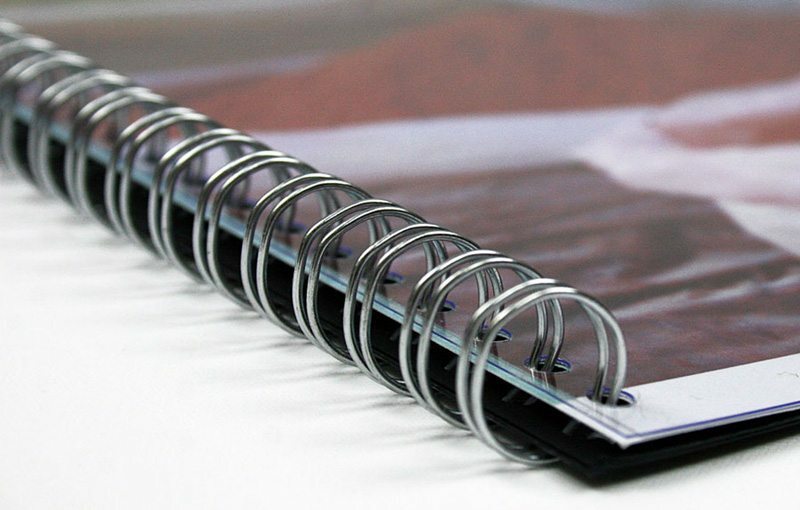 Thermal Binding is a very neat and tidy looking bind; it uses a thermal/hot glue to fix the pages in place, and is also known by a number of different names such as Glue Binding, Fastback, thermo and perfect binding. When you are ready to place an order please ensure you convert your file to PDF format to ensure correct layout when printed. If you are having trouble converting your file please click here for more information on PDF conversion from PC or MAC computers. Once you have completed the order form you will be given some options for getting your PDF to us for printing, these are upload via the website, or for larger files, you will be given a link to upload via our dropbox with the order confirmation email. We also deliver anywhere in the world and offer free delivery to many universities and colleges in London which you will find listed on the order form, because they are local we aim to do these free deliveries on the day of your job completion, and for addresses outside of London you can get next day delivery by 12 pm so you can be sure not to miss your deadline (even if you are the other side of the world). Easy as 123 = fill in order form, upload PDF, come in to collect your order or let us deliver it! We send out emails every week or so with the latest news at The Document Centre, special offers and details of any new products or promotions. We are only 10 minutes walk from London Bridge and the Shard.